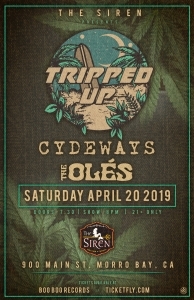 Doors at 7:30pm, 21+ The biggest and most irie 420 party on the central coast is going down at the Siren!! Tickets are $10 in advance and $12 at the door (if it doesn’t ell out in advance) Get your ticket at BooBoo’ in LO, Traffic Records in Atascadero or online at Ticketfly.com. 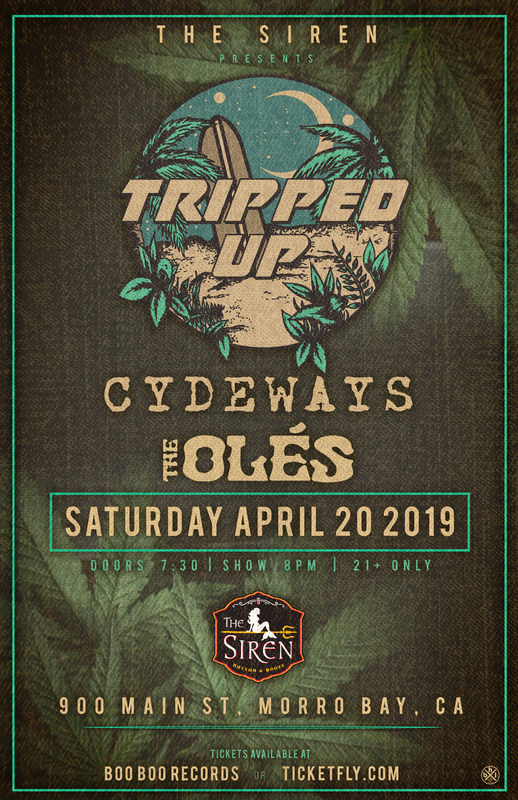 We are Tripped Up! Out of the beautiful Central Coast California! A 5 piece reggae band with original music and sound, started in 2016 and currently going stronger than ever. We will be booking for 2019 and releasing a couple singles followed by our full length album.